When my kids were little, I used to talk them often about their grades and school work. Our talks were about them always striving to do their very best no matter what. Whether or not they enjoyed their class, or were struggling in it, I expected them to try hard and give it their all. I have always believed if you give things your all, regardless of the circumstances, and if you continually do your absolute personal best always and in everything; then amazing things will happen as a result of your hard work, dedication, and excellence. It's the classic law of reciprocity. We will get back exactly what we put in. We reap what we sow! Hard work pays off. God is always watching, He's never asleep, never on vacation. He is the rewarder to those who are deserving, and to those that seek Him daily and want to do what is good and pleasing to Him. Living in excellence will always give you a leg up, it will open doors for you and bless you for doing your uncompromising best. There's a difference between perfection and excellence. No one ever asks or expects anybody to be perfect, in fact, it is a bonafide impossibility. Nobody is perfect! 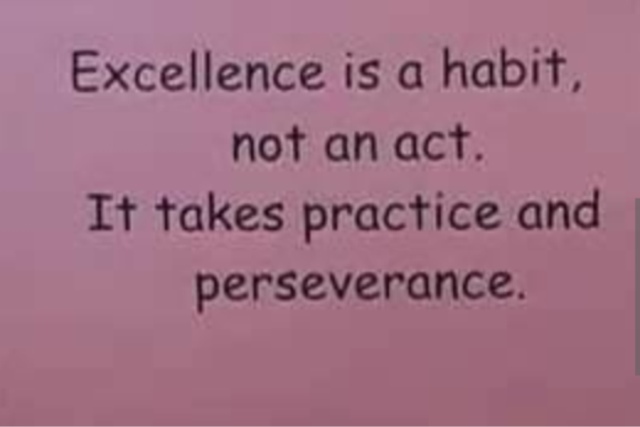 Living with excellence, however, means always putting forth your best efforts, going the extra mile and putting your best foot forward even when no one else is watching. Whatever you do, work heartily, as for the Lord and not for men, knowing that from the Lord you will receive the inheritance as your reward. You are serving the Lord Jesus Christ. In this scripture we are taught that no matter what we do, we should always work as if God was our boss, our teacher, our parent. He is after all our ultimate authority figure. He is who gives us our blessings and abilities. Why not use them to be a blessing to others by using wisely each of our capabilities. If we work hard and with unprecedented integrity, we will simply be blessed. God can see to it that we get what we deserve. 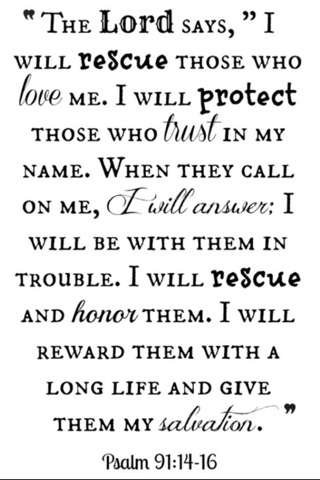 He can give us His unmerited grace and favor so that we will never be overlooked. If we study hard, God can help us on that test. He can help us to be standouts for a promotion. He can give us favor for doing what's right. When we do what we can, God will do what we can't. 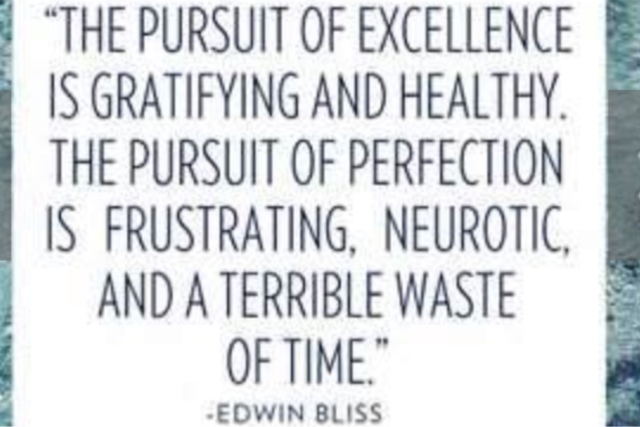 Living with excellence, means staying positive and focused, working hard toward your end goals, and taking pride in yourself, your home, your work. Take care of the things God has already blessed you with. Clean up your home, wash your car, and make sure you take care to always look your very best. Treat people fairly and with respect. Treat others the way you want to be treated. Try to eat healthier, get enough rest and plenty of exercise. Smile more, laugh lots and spend more time with in fellowship with our loving God. When we do our best to take care of ourselves, God can bless us with a long and healthy life complete with joy unspeakable , and peace beyond anything we have ever known. Excellence requires self control, staying away from strife and letting go of pettiness and anger. It is forgiving those who have hurt us. Try harder in all things! Get to work or school a few minutes early, be prompt, not hurried, late and scattered. Be more helpful, generous,caring ,and kind. Do not be the person that disappears in the face of hard work, instead be the person that spearheads the Job. Volunteer when you can. Be a light unto those who may be inspired by you to pay it forward and bless others. 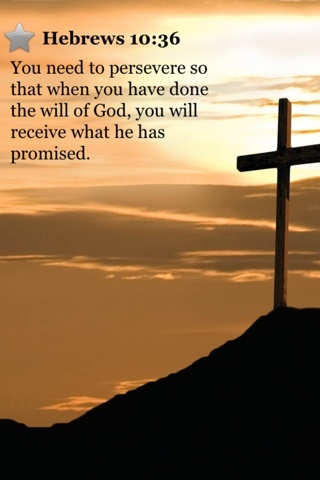 "In view of all this, make every effort to respond to God’s promises. 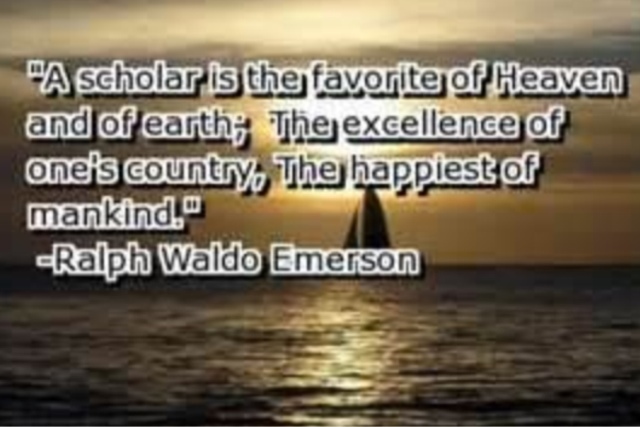 Supplement your faith with a generous provision of moral excellence, and moral excellence with knowledge,"
When we do our best, even in the small stuff, no natter how mundane or whether or not you think it will or will not matter; we will open the door to favor, goodness, positive change, and growth. Likewise when we take care of and appreciate all we have, God can trust us with more. We can do all things through Christ who strengthens us, so why not start with the most simplistic of things? We are what we repeatedly do so with that being said, we can even turn bad habits into good ones just by faithfully taking the first few steps toward a better life. For example, by taking those few steps to be a little more neat, tidy and organized, you can eventually change those bad habits of being disheveled and messy and soon you will start implementing more and more positive changes and improvements. Just those few little steps can turn into miles in terms of how different your life will be. When you feel better about yourself and your surroundings, you will act the part and you will become a much happier, joyful and more productive person. I have a friend that was a 2nd grade teacher for many years. She told me once that when they had "picture day" at school, and the children all would come to school with their "sunday best"clothes on and their hair all coiffed and styled to perfection for their anticipated portraits, that the children's behavior was always so much better on that particular day. She said it was as if they behaved according to how they felt. They were proud of themselves and acted like fine young ladies and gentlemen as a result. I guess I for one, have just never really understood the point of mediocracy. Why not do everything that you can to perform to the best of your ability? Why not be fulfilled with a marvelous sense of achievement and accomplishment? 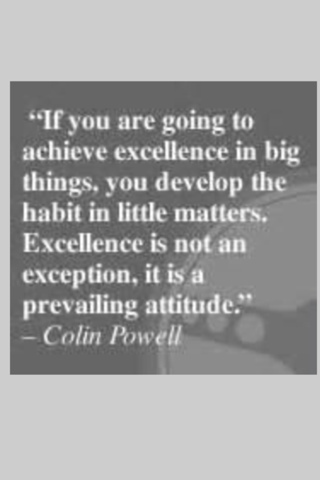 Try to do any and all things with excellence! What do I mean by that? 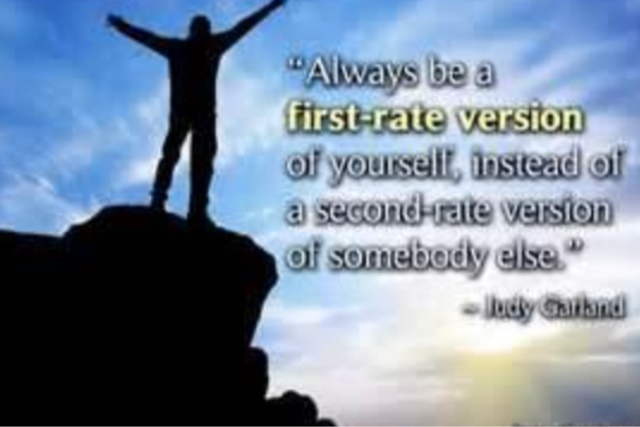 Do things right the first time. Don't go around taking the easy way out all of the time . 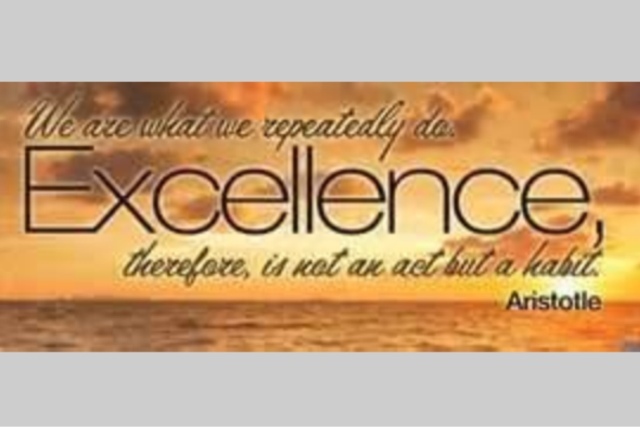 Living in excellence means being a person of quality, having high standards and a moral high ground that is unsurpassed. 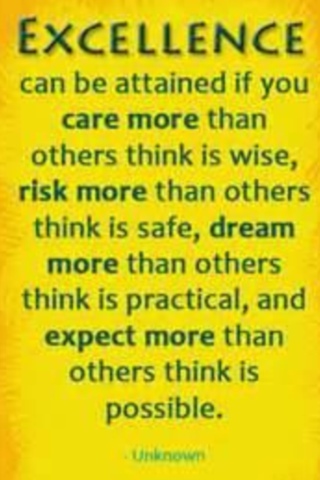 Always do a little more than what is expected. 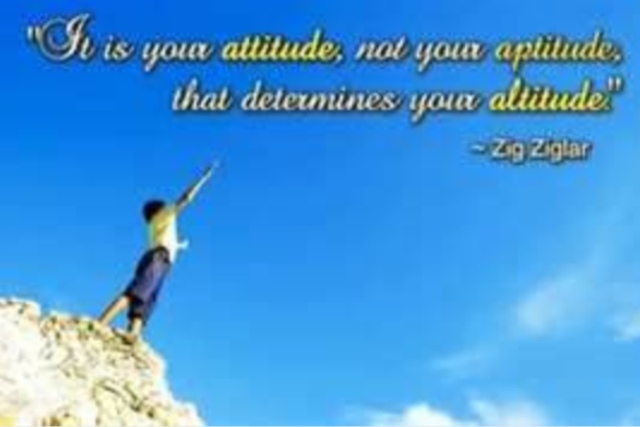 Surprise people with your willingness and awesome attitude. If everyone around you is giving 100%, give 110%... Set in motion the perfect plan of goodness, prosperity, blessings and favor that God has personally designed for you by always striving to be a person of excellence . The blessings that will result from you living your best life now will be inconceivable! We want to live a life of excellence that will make you proud. Please help us with ability, wisdom, and discernment so we can and will make wise choices and always try harder . We know you can give us the grace we need to be our best selves and to live our best lives.